With the Aurora and Stargazing season in full swing in the far north, I’ve been daydreaming about little winter hideouts and darker days. 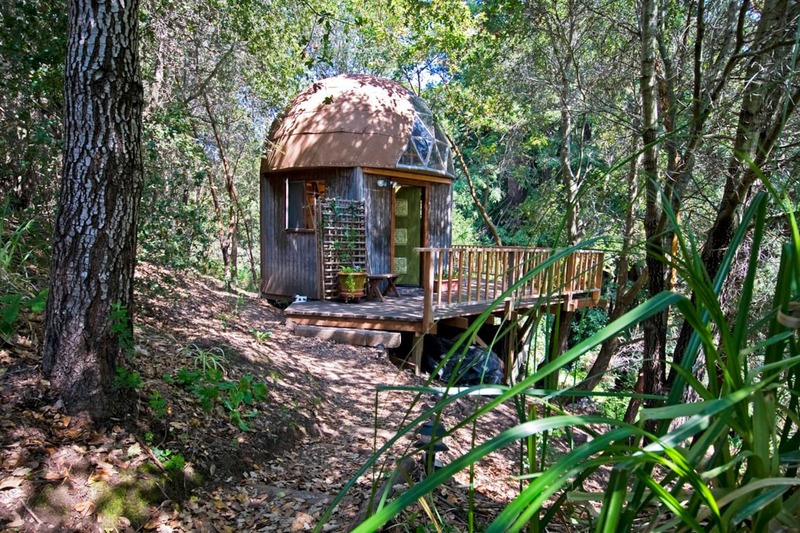 Lust away with me over these little Dome Cabins which would make the perfect stargazing base. Doesn’t this look like something straight out of a dream? 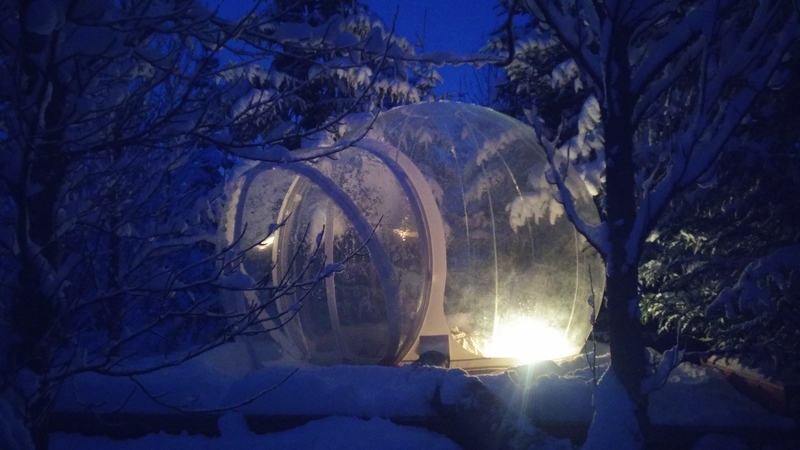 Buubble Lodge in Iceland has a small camp with a few of these adorabubble (ow yes, I went there) little dome cabins nestled in the Icelandic woods. 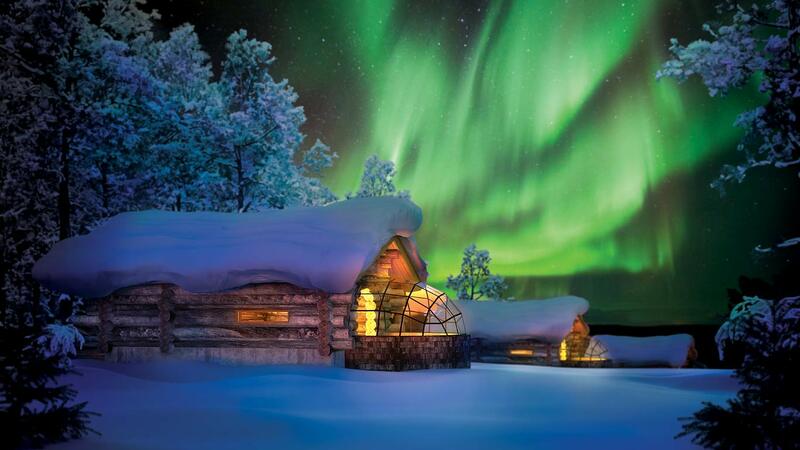 It look like the perfect winter getaway to watch the Aurora and count shooting stars from your cozy bed. It might also be worth mentioning that you can only book your Buubble through their own website. The 15% commission that normally goes to travel agents is put towards local community projects instead. Okay… Now I got myself a serious case of wanderlust *sigh*. 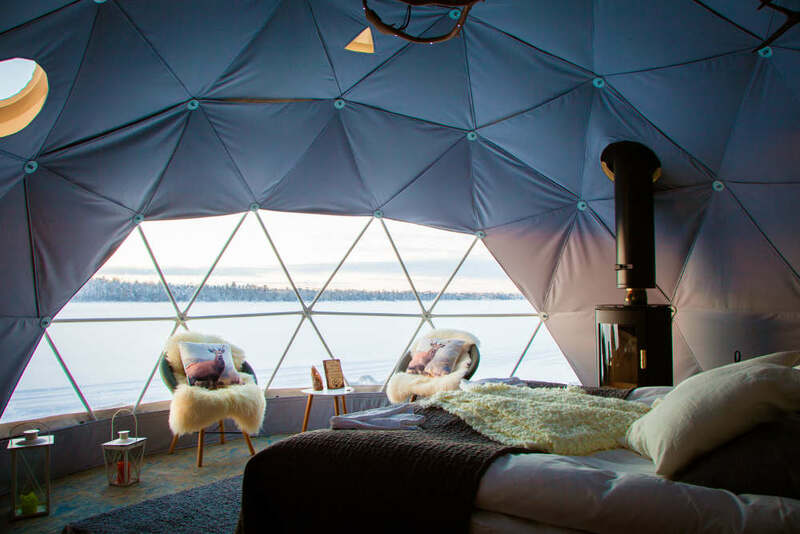 If you prefer a little more luxury while you’re glamping, than the Harriniva Aurora Dome might just be right up your alley. Stay up all night watching the Northern Lights in winter or enjoy some midnight sun in summer. 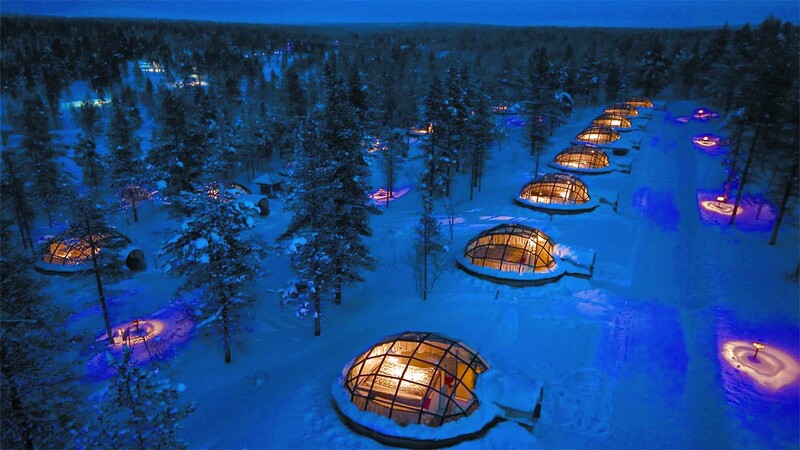 Located in the Torassieppi Winter Village in Finnish Lapland, these deluxe domes really are the stuff of dreams. Make sure to check out their other special accommodation as well. 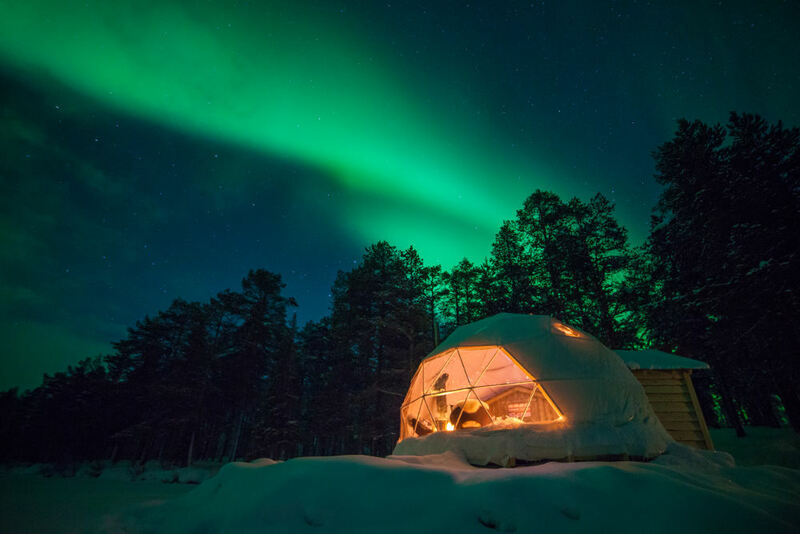 Harriniva also has snow igloos, reindeer herder’s tents or wilderness cabins. Can you picture yourself with a glass of wine in hand, soaking in that hot tub whilst watching the stars? I sure can. And, as an added bonus, it comes with pretty friendly price tag. Whitepod offers lots of luxury with plenty opportunity for adventure. Located in the Valais area of Switzerland, it has lot’s of beautiful mountains (including the iconic Matterhorn) with driving distance. The resort itself has privates ski slopes, so you can hit slopes straight for your doorstep, and 25km of hiking trails. Dogsledding and paragliding tours are available and who can complain about those views? 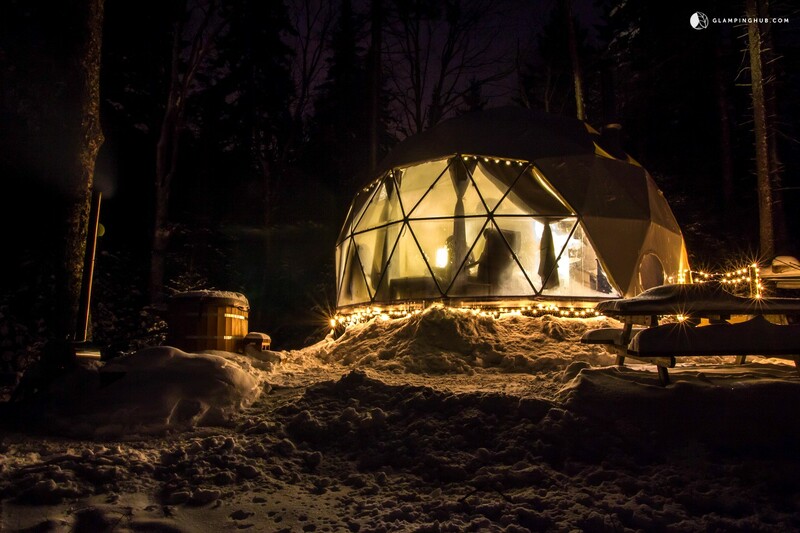 Perfect winter adventure getaway. On a lot larger scale, but with still plenty quality outdoor time, Kakslauttanen Arctic Resort is one of those iconic resorts I’m sure you’ve seen on your Pinterest feed before. 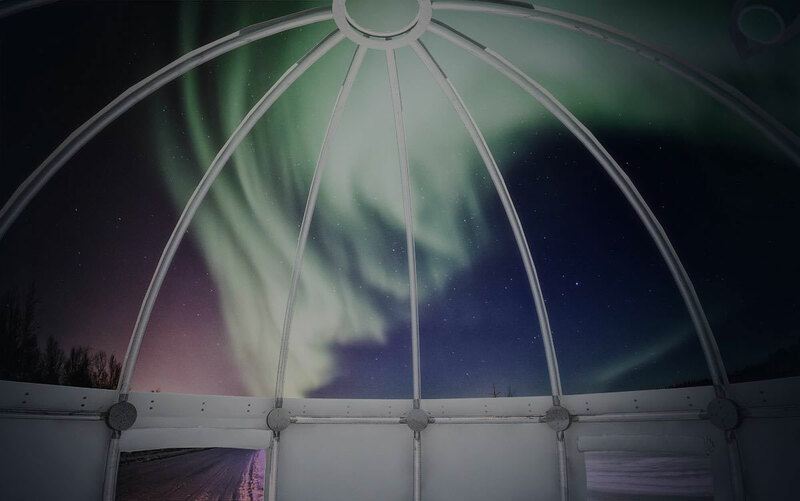 These glass Dome Cabins are located in northern Finland, so you can expect plenty Aurora action in winter and enjoy the midnight sun in summer. Make sure to check out their other accommodation as well. Both über luxurious log cabins and snow igloos are available. 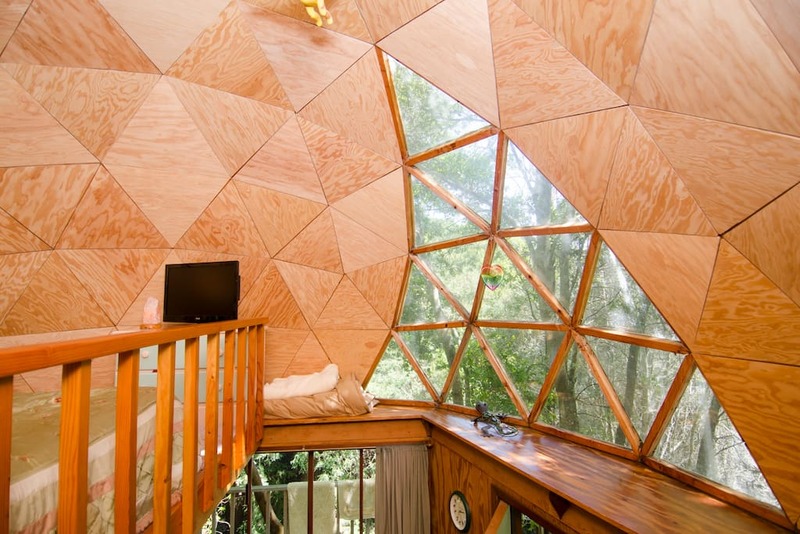 The Mushroom Dome in Apton California is AirBnB most rented out property and it’s not hard to see why. 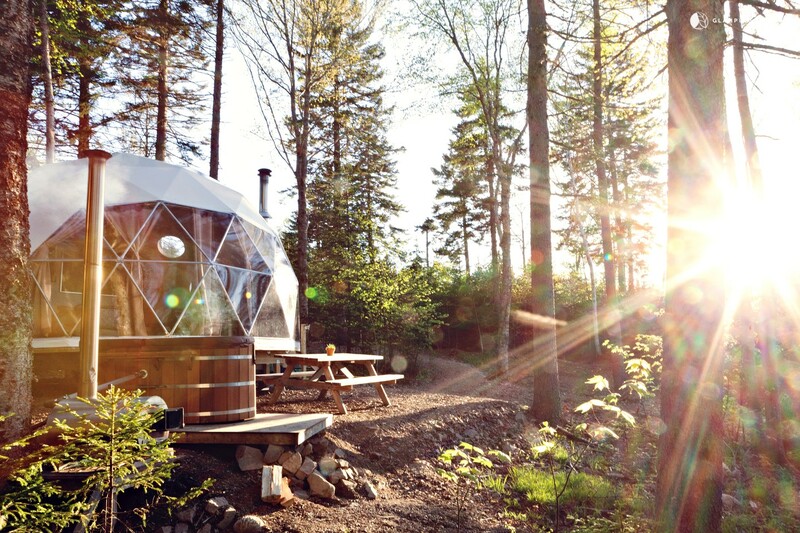 This cute little Dome Cabin has hiking tracks, mountain biking trails close by for the adventurers, the beach for sun lovers and hummingbirds for wildlife fanatics. Something for everyone AND very affordable. Bonus! It’s surprisingly affordable to have your own Dome Cabins or Bubble Tents to have your own weekend escape close to home. 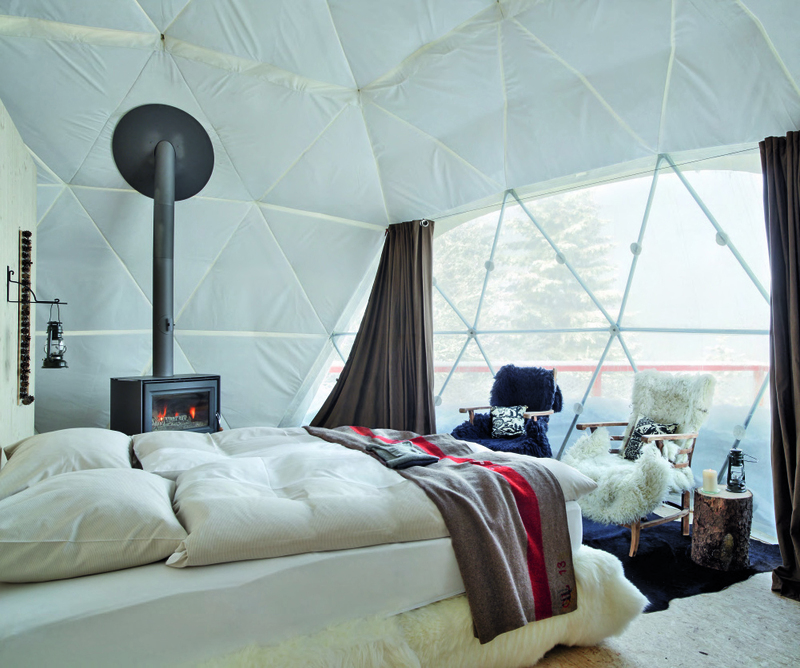 You can order the same tents Buubble Lodge uses at Bubble Tent from as little as $1500. 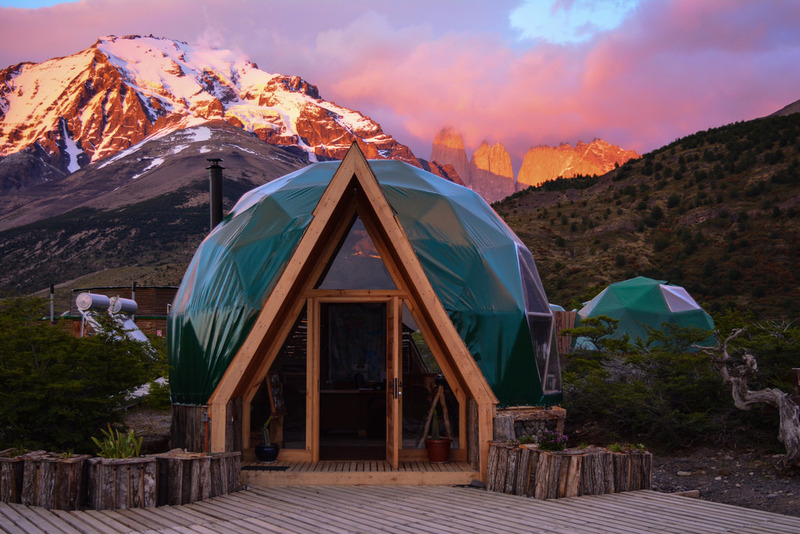 If the luxury of EcoCamp Patagonia, the Aurora Dome or Whitepods is calling, than Pacific Domes can help your dome dreams come true. 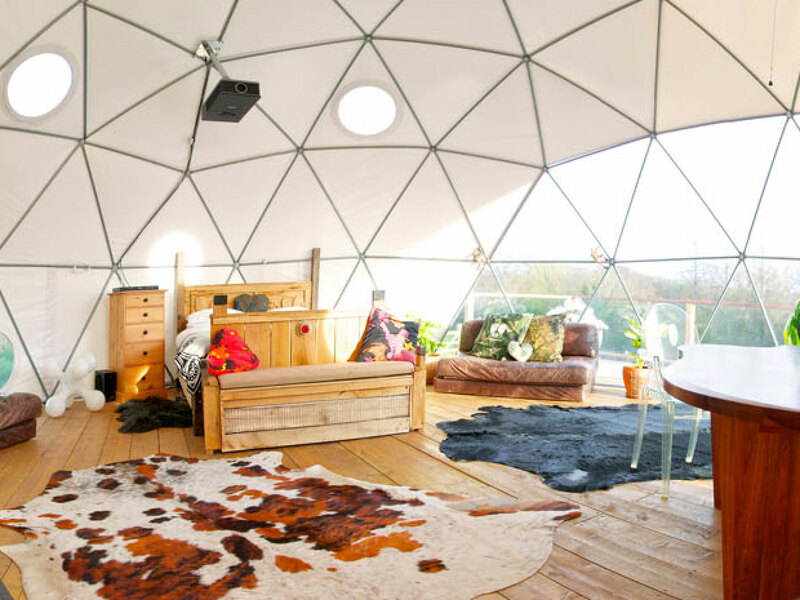 They make anything from tiny studio domes and shelters to full on tiny homes. 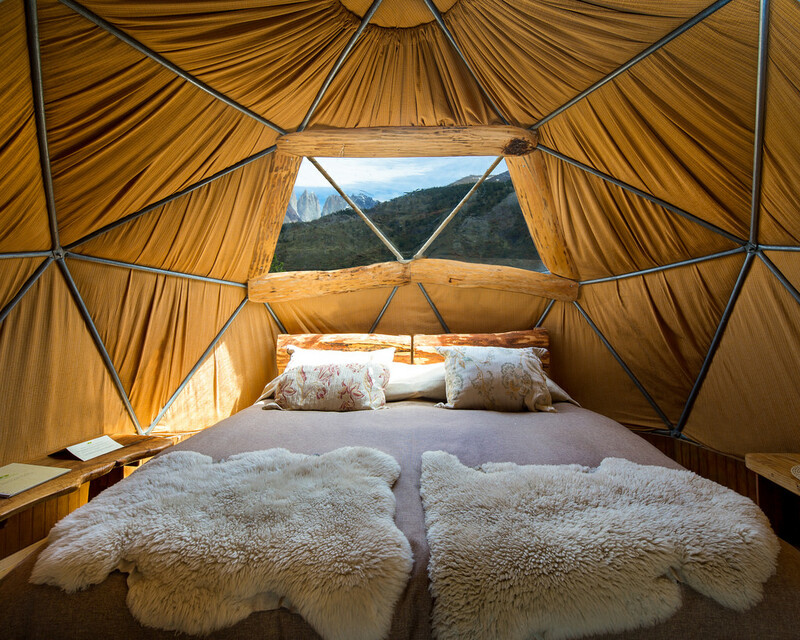 So you could make every day a glamping adventure.